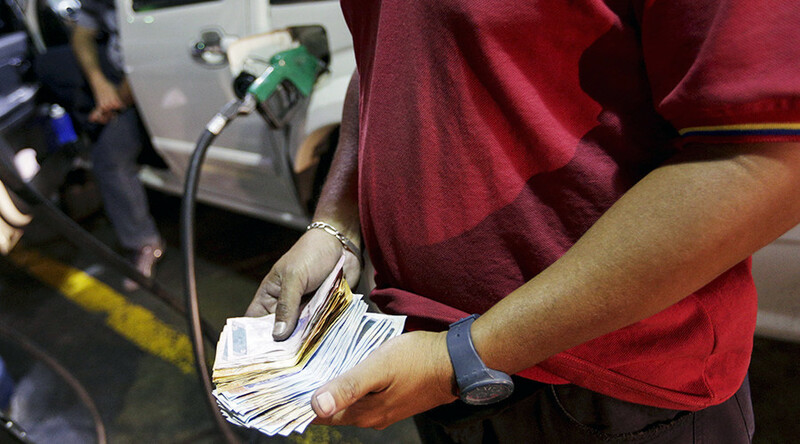 Gasoline will no longer be cheaper than water for Venezuelans after President Nicolas Maduro devalued the national currency and raised petrol prices 60-fold. 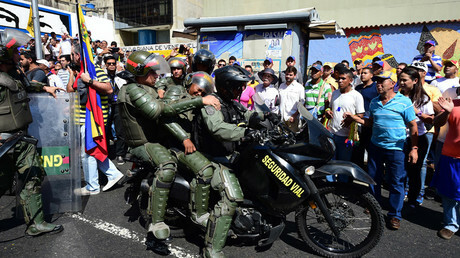 “I take responsibility for it,” said Maduro. Caracas has hiked petrol prices for the first time in 20 years, as the oil-dependent Venezuelan economy is no longer able to subsidize its cost at the pumps, selling gasoline to its citizens for next to nothing. 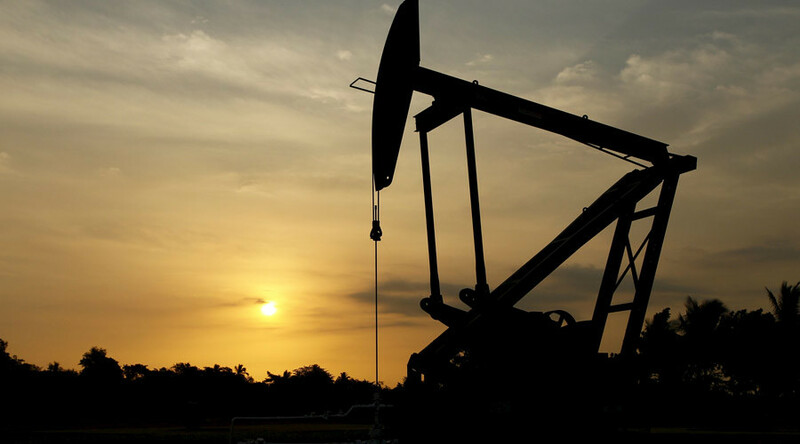 Crude exports account for 95 percent of Venezuela's revenues. Since mid-2014 oil prices have fallen over 70 percent, slashing the nation’s income dramatically. Yet even the pending fuel price hike will still allow Venezuelans to fill their tanks relatively cheaply. Starting from February 18, the price of premium gasoline is going rise from 0.1 bolivars (less than 2 cents) a liter to 6 bolivars (87 cents) per liter; an increase of over 6,000 percent. The price for regular 91 octane gasoline is set to jump from 0.07 bolivars (1 cent) to 1 bolivar (14 cents) per liter, reports the Associated Press. The government has also announced a devaluation of the bolivar against the US dollar. The official exchange rate used for basic consumer goods such as food and medicine is going devalue the national currency from 6.3 to 10 bolivars to the greenback. At the same time the black market exchange rate in Venezuela has fallen below 1,000 bolivars per dollar. That explains why a beer in the country can cost 300 bolivars and a basket of strawberries fetches 800 bolivars. 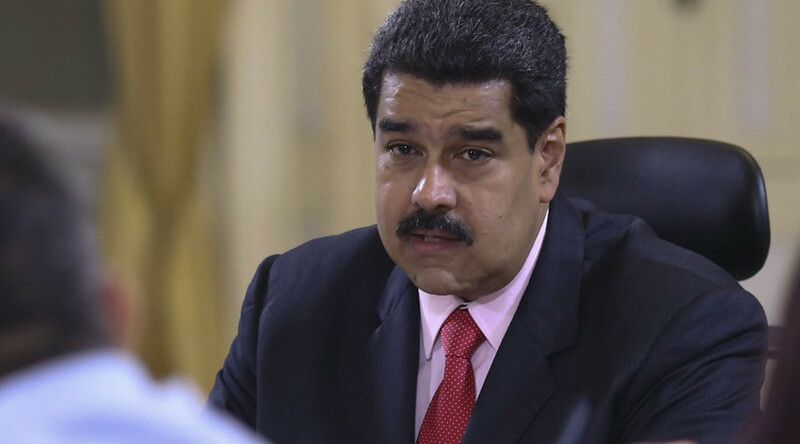 Maduro has made it clear the additional revenues will be channeled to fulfilling the government’s social obligations such as education, health services and housing. The programs were launched by his predecessor, the late Hugo Chávez, who put Venezuela on the socialist path 17 years ago. 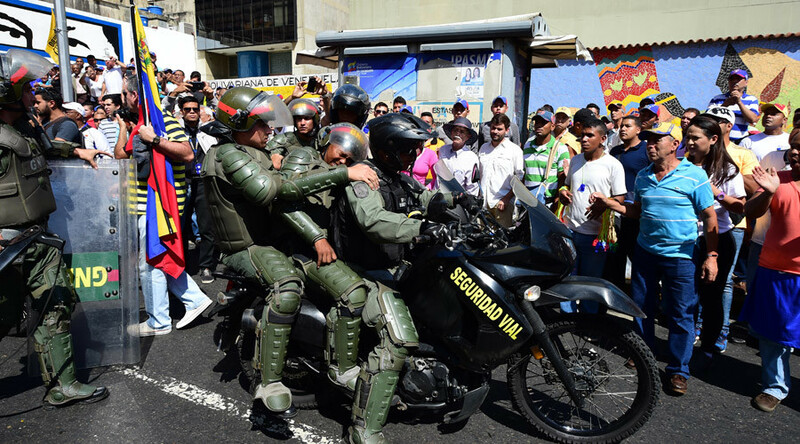 The last gasoline price hike in Venezuela ended with uncontrollable violence. The 1989 adoption of austerity measures, including a hike in petrol prices, ended with a wave of riots in the capital that left hundreds dead. “This is a necessary measure, a necessary action to balance things, I take responsibility for it,” the president stressed during a five-hour televised speech he made to announce and explain the measures to the nation. He also announced a 20 percent increase in the minimum wage, coming into effect on March 1. Maduro, who has only had about a 20 percent approval rating for most of his term, is battling for his political life after the opposition seized control of Congress in January for the first time in over a decade. Now opposition leaders place all the blame for chronic goods shortages, empty store shelves and growing inflation on the socialist president. Opposition lawmakers are ready to do whatever it takes to remove Maduro from office, from shortening his term to organizing a presidential recall referendum, which requires collecting 4 million signatures from the voters. If the referendum takes place, Maduro’s opponents would have to get more votes against the president than he got during the 2013 presidential election. The opposition's two-time presidential candidate and most popular politician Henrique Capriles, the author of the anti-Maduro referendum initiative, believes the government would have to recognize the results of the vote, should they be favorable for the opposition.